A bright and expansive coronal mass ejection (CME) unfurled itself over about an eight-hour period (January 24, 2006) this week. As seen in SOHO's LASCO C2 coronagraph, the bright front emerged in the shape of an arc from behind the occulting disk but soon expanded into a ragged, bulbous shape with lots of structural lines inside it. (The Sun is represented by the white circle in the center of the red occulting disk.) 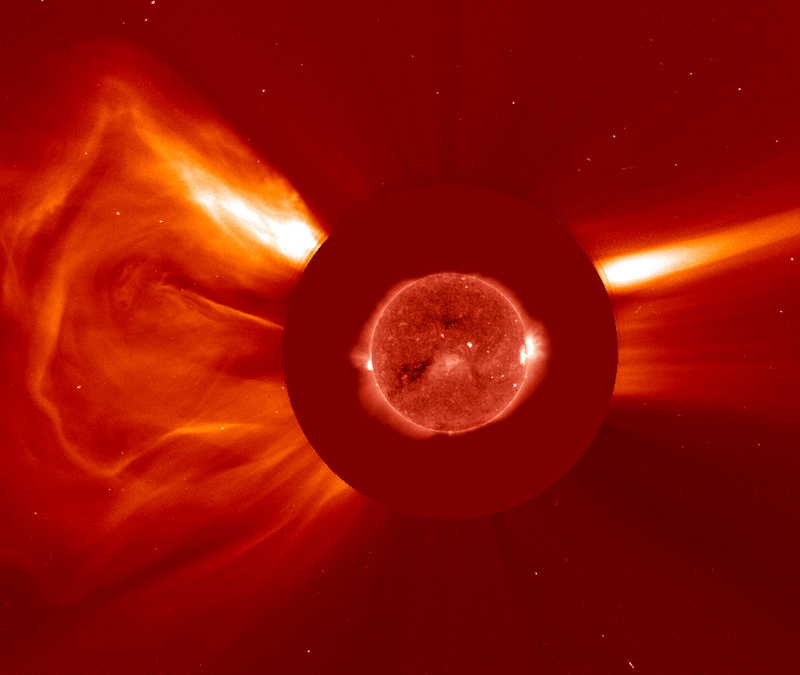 The source of this CME was apparently an active region just beginning to rotate into view the following day.